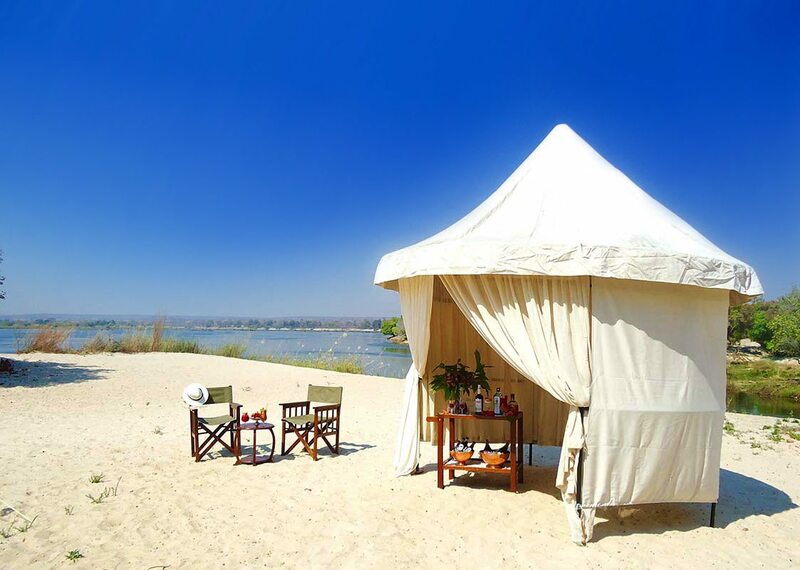 This luxury safari and beach holiday crosses Zambia, Botswana and Mozambique with game drives, boat cruises and tropical island excursions that encapsulate the spirit of African adventure. These distinctive experiences are complemented by elegant accommodation with striking river and ocean views, great food, and unrivalled service. 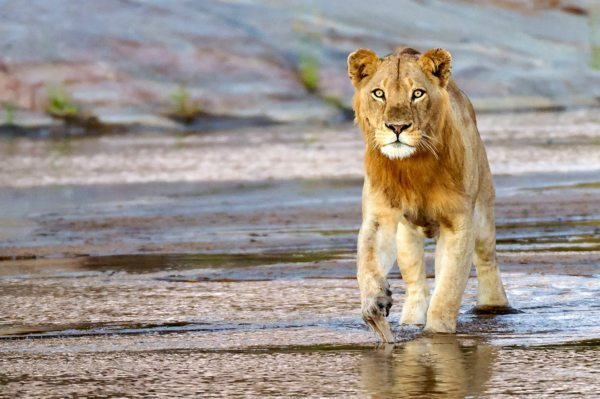 A variety of dramatic and diverse landscapes; overlooking the mighty Zambezi near Victoria Falls, the game-rich floodplains of the Chobe River and the brilliantly blue waters of the Quirimbas Archipelago, all with their own unique ecosystems to explore. 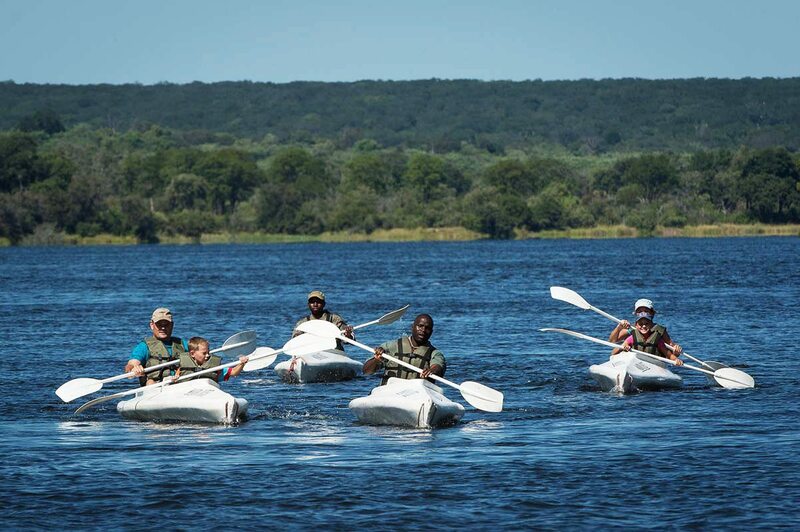 Opportunities for cruising the Zambezi at sunset, microlighting over Victoria Falls, a safari on the Chobe floodplains, dining on a sandbar, diving the Quirimbas, snorkelling pristine coral reefs and kayaking the Quirimbas. 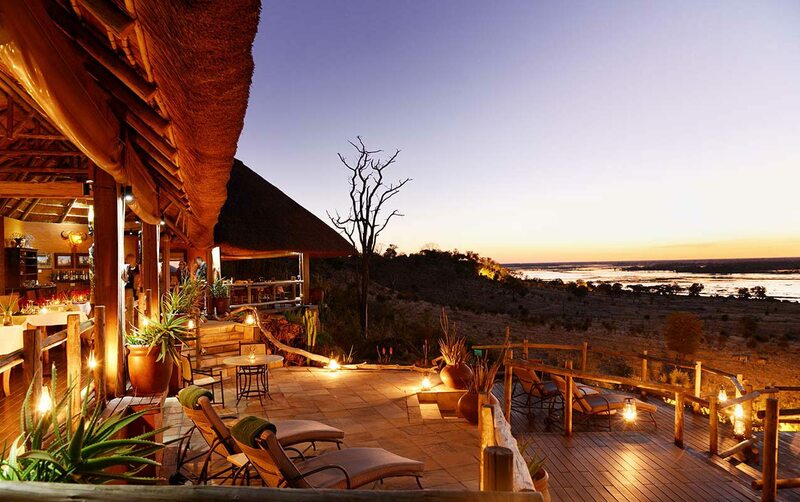 Luxury safari lodges overlooking either the river or the ocean, with elegant guest accommodation in mesmerising landscapes. Lovingly restored mansions at The River Club, stylish river-facing suites at Ngoma Safari Lodge and luxury villas with private butler and plunge pool at Azura Quilalea Private Island. 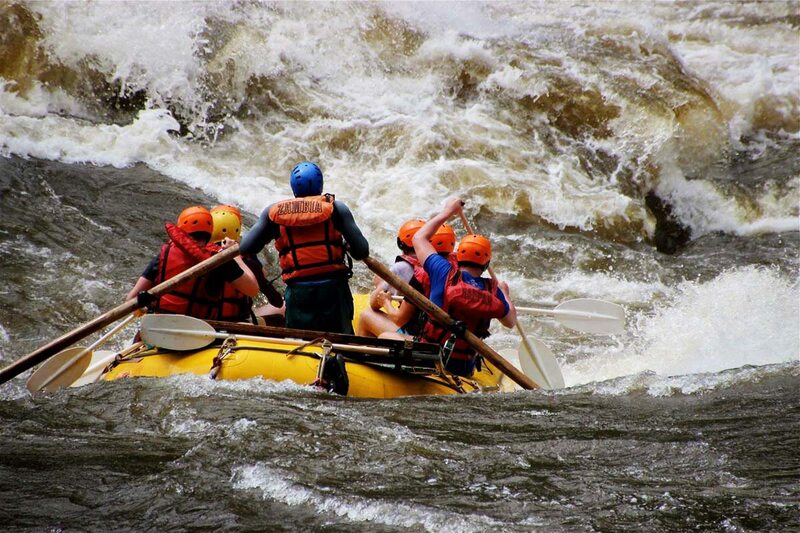 For more information see The River Club, Ngoma Safari Lodge and Azura Quilalea Private Island. From Livingstone in Zambia, we had a short road transfer to the banks of the Zambezi River, followed by a boat trip across to The River Club, a boutique safari lodge overlooking a bend in this mighty river.As we sipped on our welcome drinks, we admired the view across the river into the Zambezi National Park, watching as a few hippo sunk down into the water, only to reappear with a snort and a grunt. Meanwhile, inspired by a lively game of croquet that was just finishing on the lawns, I challenged my partner to a game before lunch. Our gorgeous African day culminated with a sunset cruise on the Zambezi, skirting crocodile, hippo and elephant as we threaded our way between two countries (Zimbabwe being on the other side), enjoying bubbly and canapés as the sun dipped into this mighty river.A guided tour of Victoria Falls the next morning was an awe-inspiring experience that really revealed why it’s one of the world’s Seven Natural Wonders. Both of us promising to report back to each other in detail, my partner and I parted ways to enjoy separate experiences. Microlighting above Vic Falls in little more than a bicycle with wings and a fan was a hair-raising yet sublime experience – emphasising the true majesty and power of the falls. After a village tour, my partner also returned humbled; excited by the lodge’s community involvement and their commitment to preserving Livingstone’s heritage.The smell of freshly brewed coffee the following day and the promise of new adventures made the end of our Zambia safari somewhat easier to bear, along with our certainty that The River Club would be seeing us again. 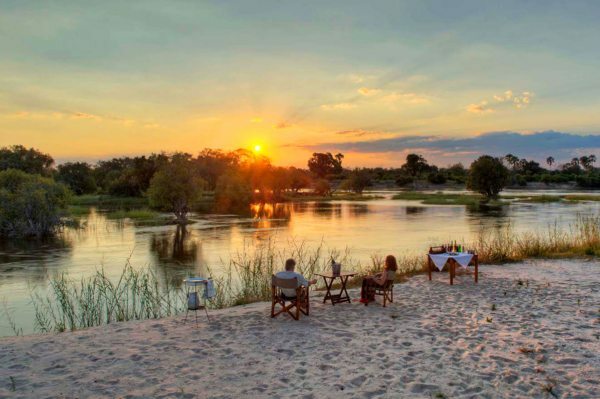 From Livingstone in Zambia, we had a short road transfer to the banks of the Zambezi River, followed by a boat trip across to The River Club, a boutique safari lodge overlooking a bend in this mighty river. As we sipped on our welcome drinks, we admired the view across the river into the Zambezi National Park, watching as a few hippo sunk down into the water, only to reappear with a snort and a grunt. Meanwhile, inspired by a lively game of croquet that was just finishing on the lawns, I challenged my partner to a game before lunch. Our gorgeous African day culminated with a sunset cruise on the Zambezi, skirting crocodile, hippo and elephant as we threaded our way between two countries (Zimbabwe being on the other side), enjoying bubbly and canapés as the sun dipped into this mighty river. 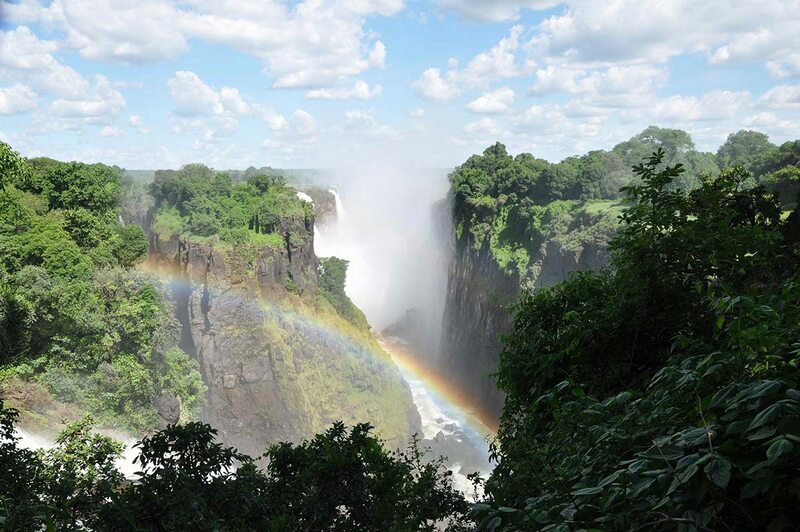 A guided tour of Victoria Falls the next morning was an awe-inspiring experience that really revealed why it’s one of the world’s Seven Natural Wonders. Both of us promising to report back to each other in detail, my partner and I parted ways to enjoy separate experiences. Microlighting above Vic Falls in little more than a bicycle with wings and a fan was a hair-raising yet sublime experience – emphasising the true majesty and power of the falls. After a village tour, my partner also returned humbled; excited by the lodge’s community involvement and their commitment to preserving Livingstone’s heritage. The smell of freshly brewed coffee the following day and the promise of new adventures made the end of our Zambia safari somewhat easier to bear, along with our certainty that The River Club would be seeing us again. Looking over arid landscapes into the game-rich floodplains of the Chobe River after a short transfer into Botswana, we relaxed at our plunge pool, enjoying the whisper of wind on our skin. It was thus a complete shock when we saw an immense elephant drinking at our pool. We’d known Ngoma Safari Lodge overlooked an elephant trail, but had to blink twice to register our important guest! After sharing our experience over drinks around the fire, we saw what could have been the same elephant at the floodlit waterhole, almost looking up at us as we ate dinner on the viewing deck. Perhaps we’d also made an impression!While we’d had plenty of elephant activity at the lodge itself, the next morning we left at dawn for a safari on the Chobe floodplains, an area famed for its elephant herds and over 450 bird species. We followed a sandy road, thrilled when we spotted a puku, a shaggy-haired antelope found only in the floodplains of this country. A huge herd of elephant, several hippo and a stupendous amount of birdlife later, and we were back at the lodge, still elated by our experience and feeling a deeper connection to nature than ever before. Later that evening, we dined beneath the stars.A boat trip on the Chobe River rounded off our trip perfectly; with herds of elephant along the river’s edge and on its islands, we could see why it’s known as the ‘elephant highway’. We saw sable coming to the water to drink, and a dead hippo a little further down the river, accompanied by a float of menacing crocodiles. We cruised past an abundance of birds, including a skimmer warning a hippo to stay away from its young, several storks, herons, darters and cormorants. Before we knew it, we were sipping G&Ts at the campfire, while hyenas whooped into the night. Looking over arid landscapes into the game-rich floodplains of the Chobe River after a short transfer into Botswana, we relaxed at our plunge pool, enjoying the whisper of wind on our skin. It was thus a complete shock when we saw an immense elephant drinking at our pool. We’d known Ngoma Safari Lodge overlooked an elephant trail, but had to blink twice to register our important guest! After sharing our experience over drinks around the fire, we saw what could have been the same elephant at the floodlit waterhole, almost looking up at us as we ate dinner on the viewing deck. Perhaps we’d also made an impression! While we’d had plenty of elephant activity at the lodge itself, the next morning we left at dawn for a safari on the Chobe floodplains, an area famed for its elephant herds and over 450 bird species. We followed a sandy road, thrilled when we spotted a puku, a shaggy-haired antelope found only in the floodplains of this country. A huge herd of elephant, several hippo and a stupendous amount of birdlife later, and we were back at the lodge, still elated by our experience and feeling a deeper connection to nature than ever before. Later that evening, we dined beneath the stars. A boat trip on the Chobe River rounded off our trip perfectly; with herds of elephant along the river’s edge and on its islands, we could see why it’s known as the ‘elephant highway’. We saw sable coming to the water to drink, and a dead hippo a little further down the river, accompanied by a float of menacing crocodiles. We cruised past an abundance of birds, including a skimmer warning a hippo to stay away from its young, several storks, herons, darters and cormorants. Before we knew it, we were sipping G&Ts at the campfire, while hyenas whooped into the night. Before we moved on to Mozambique, we spent a night at a luxury hotel in Joburg, which gave us a chance to experience ‘The City of Gold’. Early the next day, we flew to Pemba, where we embarked on a helicopter flight to Azura Quilalea Private Island, thrilled to see the many tropical islands of the Quirimbas Archipelago from above.We were swept away by our lavish villa on the water’s edge, a fantasy-like island retreat with its own stretch of pearly-white beach, and water so clear you could see everything beneath. While I opted for the sundeck with loungers facing the ocean, my partner reclined on the daybed, perusing a magazine. 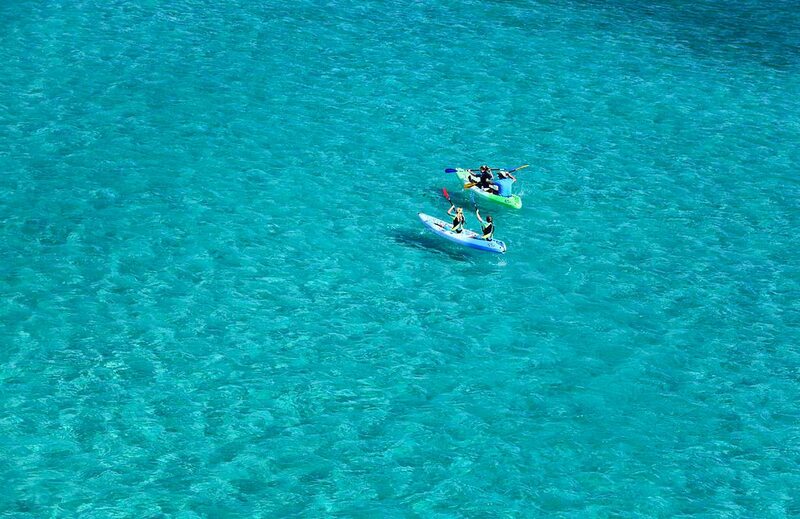 But the bright blue water was a constant temptation and moments later we both swam out, floating on our backs and counting our blessings! The indulgences continued with an afternoon spa treatment, a long walk up an endless beach, and stargazing – from our deck over dinner!The following day, we were faced with many exciting activities to choose from, that having our private butler to help us plan the day was our saving grace! We started with a snorkelling trip that blew us away with the diversity of fish we saw, and ended with a sunset dhow cruise, where sundowners and snacks were served as the sun disappeared in a blast of vibrant colour. We even tried mangrove crabs, a local delicacy, over a romantic candlelight dinner. This was a great hit with my partner, whereas I preferred tucking into crayfish instead!After a late breakfast, we pushed our bright orange ‘steads’ into the water and followed the coastline to the mangrove forests for a kayak safari. Paddling at a gentle pace, we were able to see a plethora of birdlife, from kingfishers to cormorants and fish eagles. Luckily, we had a birdwatching guide to help us identify all the species we saw – after all there are hundreds in the Quirimbas! The mangrove forest too was enlightening. We learned that mangroves survive in conditions that would kill other trees, forming unique ecosystems that allow numerous bird and aquatic life to thrive.An early start saw us out in the ocean on a inflatable dingy, headed out to dive the Quirimbas and see firsthand why it’s renowned for some of world’s best diving. It was a captivating, and somehow surreal experience – we ticked off some of the marine species on our bucket list in a single morning, including the rare dugong, which you usually have to search for! The afternoon flew by with a coconut plantation visit, where we learned more about coconut production on the island. We also visited the local village, which gave us some insight into colourful island life.We had to leave while it was still dark in order to catch the nesting turtles in action. Driving up to the sand, we dismounted to approach a large turtle, who was digging into the sand with her flippers, creating a nest in which to lay her eggs. Further down the beach, we could see hatching turtles – minute creatures with less than 1% chance of survival – braving hungry seagulls on their way to the ocean. It was heartrending and inspiring all at once and we left for our beach picnic feeling hopeful that they would live to see another day.Unable to tear ourselves away from the marine wonderland that surrounded us, we decided to spend our final day in the Quirimbas dining on a sandbar, with the option to snorkel more of its coral reefs. A dhow delivered us to the small stretch of sand revealed by receding tides the crew had deemed suitable, and while they set up a delicious picnic, we swam in the warm waters. Then they left us, effectively marooned on sandbank until our rescue from the incoming tide. We then snorkelled till our fingers shrivelled, exploring this fantasy realm with underwater camera in hand.We couldn’t get enough, so we made the most of our last morning in the Quirimbas by slipping off for an early morning snorkel right off the beach before breakfast. Exploring the reefs one last time before our transfer back to Johannesburg was such a special experience that we left awash in gratitude and contentment. Before we moved on to Mozambique, we spent a night at a luxury hotel in Joburg, which gave us a chance to experience ‘The City of Gold’. Early the next day, we flew to Pemba, where we embarked on a helicopter flight to Azura Quilalea Private Island, thrilled to see the many tropical islands of the Quirimbas Archipelago from above. We were swept away by our lavish villa on the water’s edge, a fantasy-like island retreat with its own stretch of pearly-white beach, and water so clear you could see everything beneath. While I opted for the sundeck with loungers facing the ocean, my partner reclined on the daybed, perusing a magazine. But the bright blue water was a constant temptation and moments later we both swam out, floating on our backs and counting our blessings! The indulgences continued with an afternoon spa treatment, a long walk up an endless beach, and stargazing – from our deck over dinner! The following day, we were faced with many exciting activities to choose from, that having our private butler to help us plan the day was our saving grace! We started with a snorkelling trip that blew us away with the diversity of fish we saw, and ended with a sunset dhow cruise, where sundowners and snacks were served as the sun disappeared in a blast of vibrant colour. We even tried mangrove crabs, a local delicacy, over a romantic candlelight dinner. This was a great hit with my partner, whereas I preferred tucking into crayfish instead! After a late breakfast, we pushed our bright orange ‘steads’ into the water and followed the coastline to the mangrove forests for a kayak safari. Paddling at a gentle pace, we were able to see a plethora of birdlife, from kingfishers to cormorants and fish eagles. Luckily, we had a birdwatching guide to help us identify all the species we saw – after all there are hundreds in the Quirimbas! The mangrove forest too was enlightening. We learned that mangroves survive in conditions that would kill other trees, forming unique ecosystems that allow numerous bird and aquatic life to thrive. An early start saw us out in the ocean on a inflatable dingy, headed out to dive the Quirimbas and see firsthand why it’s renowned for some of world’s best diving. It was a captivating, and somehow surreal experience – we ticked off some of the marine species on our bucket list in a single morning, including the rare dugong, which you usually have to search for! The afternoon flew by with a coconut plantation visit, where we learned more about coconut production on the island. We also visited the local village, which gave us some insight into colourful island life. We had to leave while it was still dark in order to catch the nesting turtles in action. Driving up to the sand, we dismounted to approach a large turtle, who was digging into the sand with her flippers, creating a nest in which to lay her eggs. Further down the beach, we could see hatching turtles – minute creatures with less than 1% chance of survival – braving hungry seagulls on their way to the ocean. It was heartrending and inspiring all at once and we left for our beach picnic feeling hopeful that they would live to see another day. Unable to tear ourselves away from the marine wonderland that surrounded us, we decided to spend our final day in the Quirimbas dining on a sandbar, with the option to snorkel more of its coral reefs. A dhow delivered us to the small stretch of sand revealed by receding tides the crew had deemed suitable, and while they set up a delicious picnic, we swam in the warm waters. Then they left us, effectively marooned on sandbank until our rescue from the incoming tide. We then snorkelled till our fingers shrivelled, exploring this fantasy realm with underwater camera in hand. We couldn’t get enough, so we made the most of our last morning in the Quirimbas by slipping off for an early morning snorkel right off the beach before breakfast. Exploring the reefs one last time before our transfer back to Johannesburg was such a special experience that we left awash in gratitude and contentment. Marrying the rivers of the mighty Zambezi with the channels and waterways of the Chobe floodplains, and the idyllic warm waters of the Quirimbas Archipelago, our luxury safari and beach holiday cemented our love for watery worlds.It would be difficult to choose a favourite experience – how do you compare microlighting over Victoria Falls on our Zambia safari to an beach holiday where we saw an elusive dugong while diving the Quirimbas? Fortunately, this safari combined everything we could possibly have wanted, covering Zimbabwe and Zambia’s famous Victoria Falls, Botswana’s Chobe River and Mozambique’s Quirimbas, with the opportunity to experience a slice of South Africa with an overnight in Johannesburg.Our accommodation too was exceptional, eliciting a sensation of space and rootedness in the very nature that we were encouraged to so thoroughly explore. Yet, each luxury lodge was different: The River Club is a boutique safari lodge overlooking a bend in the Zambezi, where refined activities such as tennis or croquet combined with tours of Victoria Falls and sundowner cruises; Ngoma Safari Lodge focuses on offering the full Botswana safari experience with game drives in the Chobe National Park and floodplains, where elephants might quench their thirst at your plunge pool. 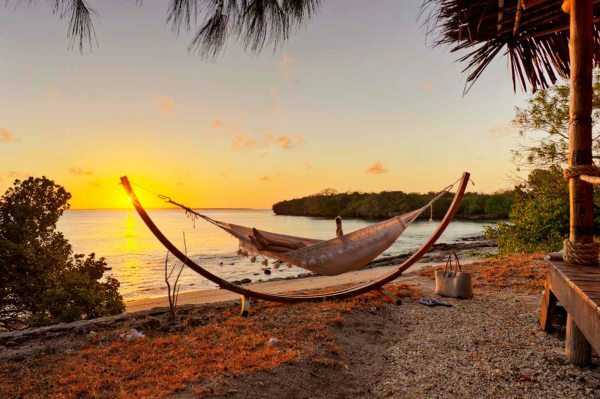 And Azura Quilalea Private Island offers a private villa and butler to meet every possible need, while giving you the chance to explore the Quirimbas at entirely your own pace. 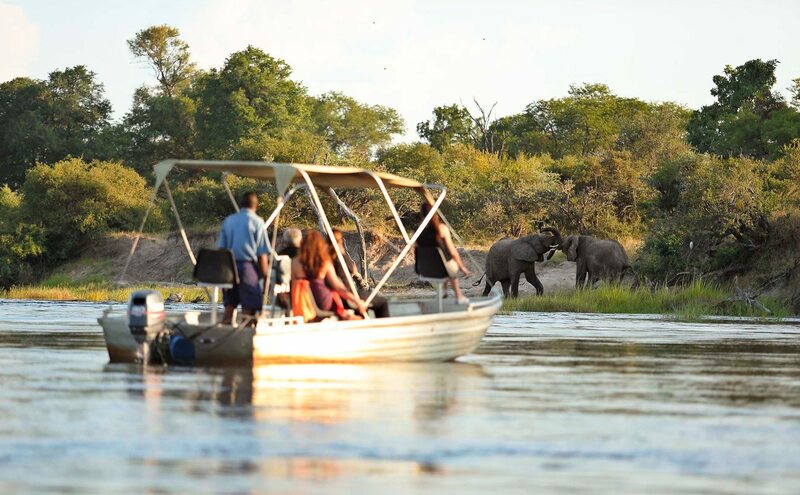 Marrying the rivers of the mighty Zambezi with the channels and waterways of the Chobe floodplains, and the idyllic warm waters of the Quirimbas Archipelago, our luxury safari and beach holiday cemented our love for watery worlds. It would be difficult to choose a favourite experience – how do you compare microlighting over Victoria Falls on our Zambia safari to an beach holiday where we saw an elusive dugong while diving the Quirimbas? Fortunately, this safari combined everything we could possibly have wanted, covering Zimbabwe and Zambia’s famous Victoria Falls, Botswana’s Chobe River and Mozambique’s Quirimbas, with the opportunity to experience a slice of South Africa with an overnight in Johannesburg. Our accommodation too was exceptional, eliciting a sensation of space and rootedness in the very nature that we were encouraged to so thoroughly explore. Yet, each luxury lodge was different: The River Club is a boutique safari lodge overlooking a bend in the Zambezi, where refined activities such as tennis or croquet combined with tours of Victoria Falls and sundowner cruises; Ngoma Safari Lodge focuses on offering the full Botswana safari experience with game drives in the Chobe National Park and floodplains, where elephants might quench their thirst at your plunge pool. 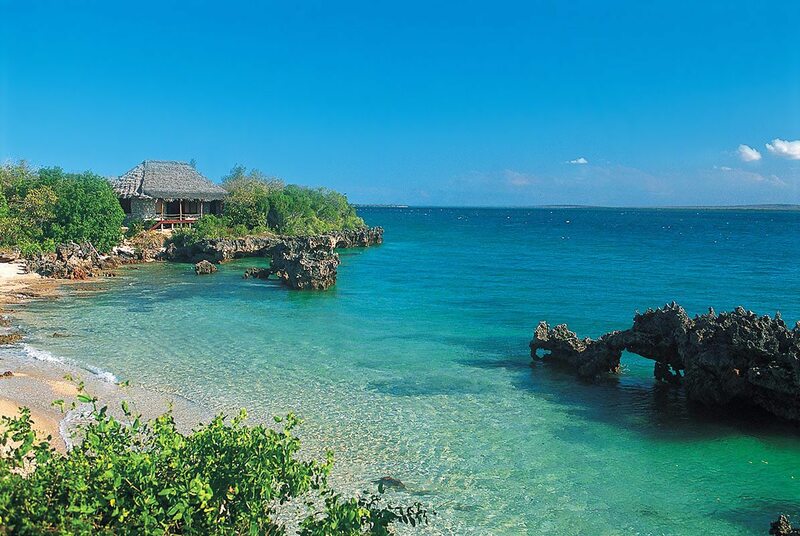 And Azura Quilalea Private Island offers a private villa and butler to meet every possible need, while giving you the chance to explore the Quirimbas at entirely your own pace. You’ll be met as you disembark from your international flight at OR Tambo International Airport in Johannesburg, South Africa, and assisted through customs and immigration. After a scheduled flight to Livingstone in Zambia, you’ll take a transfer to The River Club near Victoria Falls, where you’ll spend two nights. 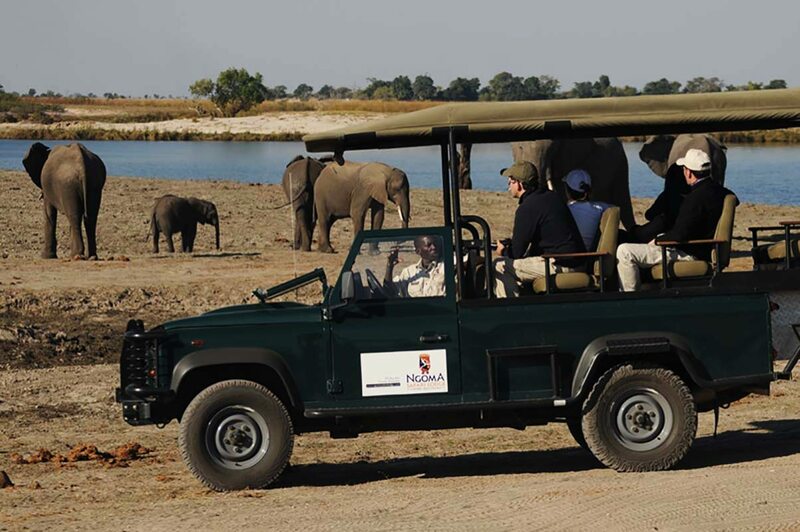 Clearing customs and immigration en route, a transfer will take you from The River Club to Ngoma Safari Lodge in Chobe, Botswana. 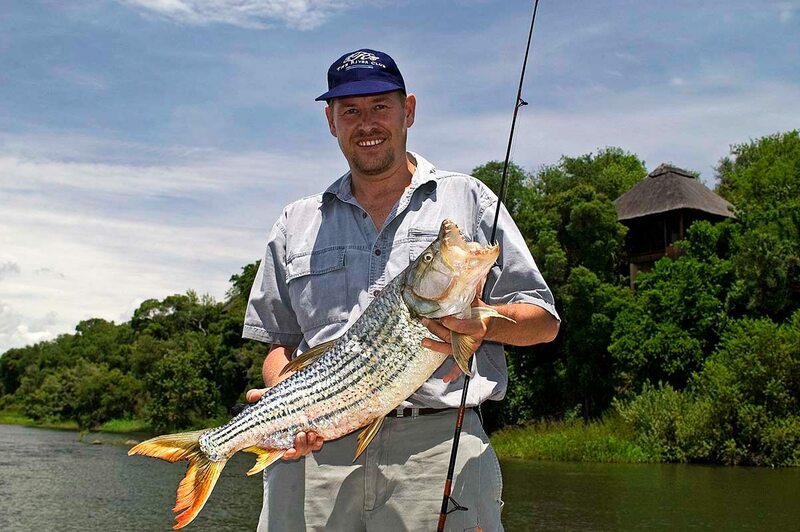 After a transfer from Ngoma Safari Lodge to Kasane, you’ll take a scheduled flight to Johannesburg, South Africa. A transfer will take you to the InterContinental Johannesburg OR Tambo Airport Hotel, where you’ll spend the night. You’ll be met at the InterContinental Johannesburg OR Tambo Airport Hotel and assisted through check-in at the airport. 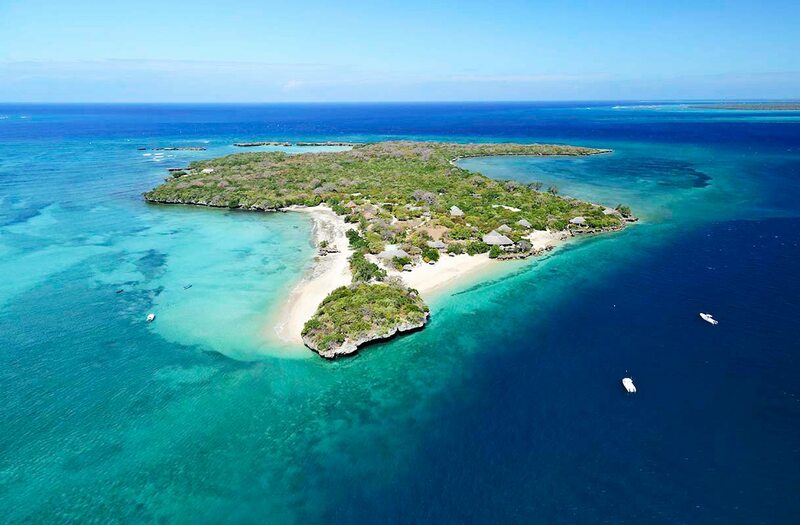 A scheduled flight will take you to Pemba in Mozambique, and then a helicopter will then take you to Azura Quilalea Private Island, where you’ll spend six nights. 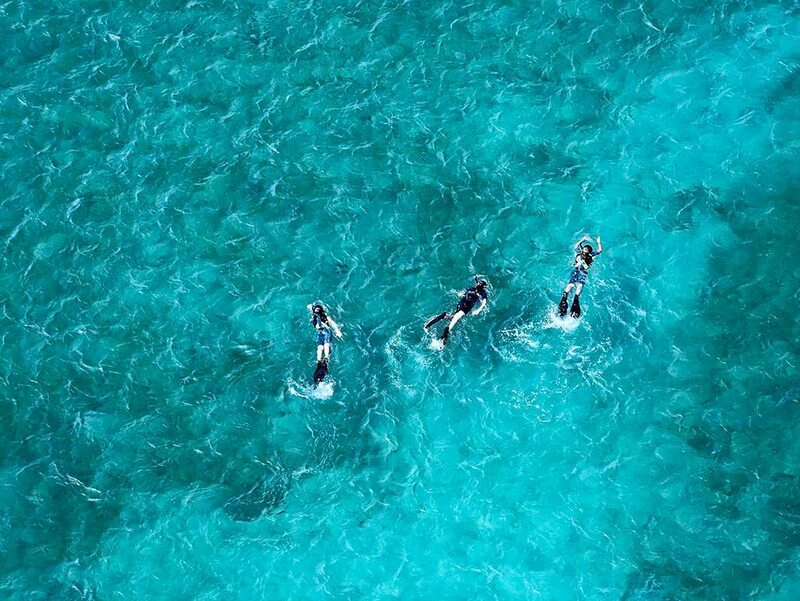 A helicopter will take you from Azura Quilalea Private Island to Pemba. A scheduled flight will then take you to OR Tambo International Airport in Johannesburg, South Africa, to connect with your ongoing flight. We also offer a curated selection of Botswana safari packages, wrapped and priced for your convenience, click here to explore them. 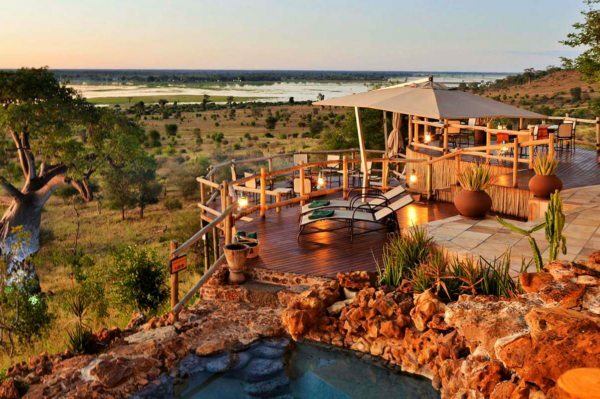 Discover the true meaning of luxury on a combination safari-and-beach luxury safari, taking in the huge spaces of Botswana’s Central Kalahari and Savute regions, and the azure waters surrounding the coastal Mozambique Islands. 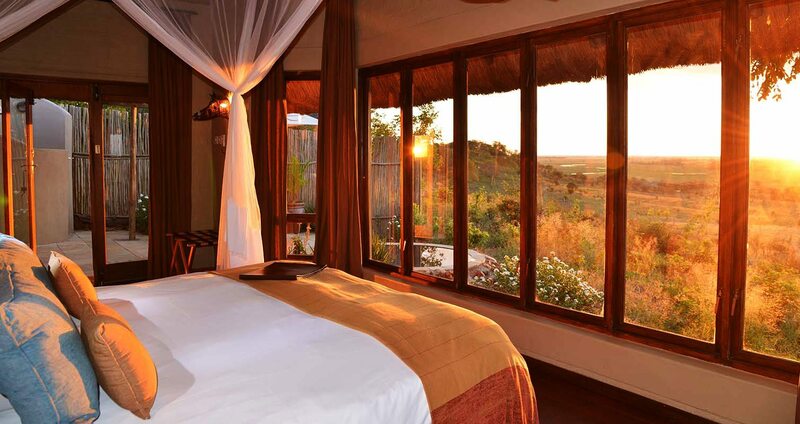 This Mozambique and Botswana safari offers not just luxury lodges, but space, privacy and exclusivity too. The Okavango Delta is an incredibly dynamic ecosystem. 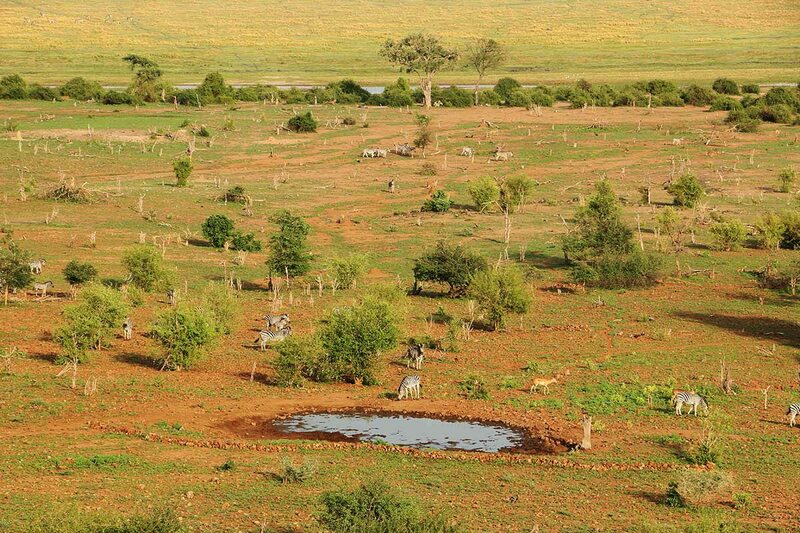 Depending on the season, you may even witness changes during your luxury Botswana safari. 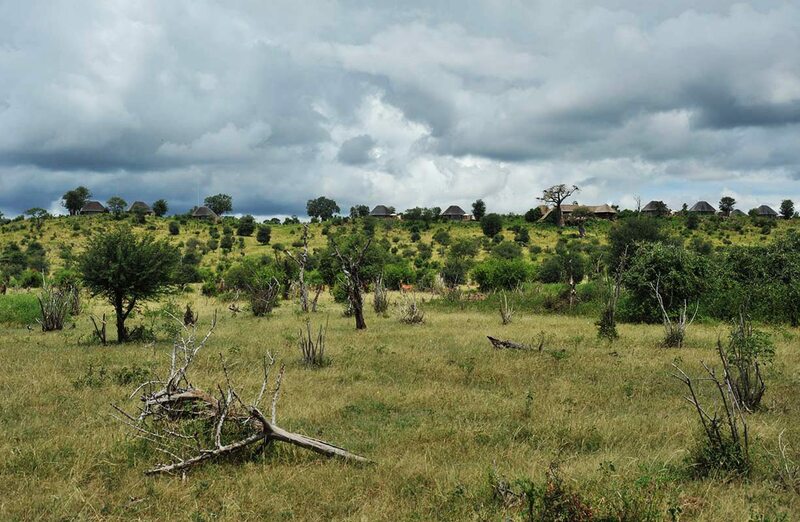 This dynamism is reflected in the variety of wildlife to be seen, the different activities and experiences on offer, and even the contrasting styles of the lodges.